Though singing in a group is wonderful, choir members are often late for rehearsal. That’s the way it goes. Maybe it’s part of human nature. Somehow people tend to think being early is silly and being late is acceptable. It’s a shame. Being early has a lot of benefits. You may have a little talk to the people who are dear to you, you can help arrange the chairs, make coffee, look at the sheet music. 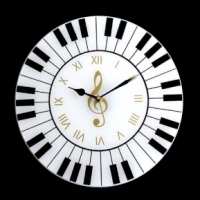 And above all, you will have the time to let go of your daily troubles and get in the mood for singing.